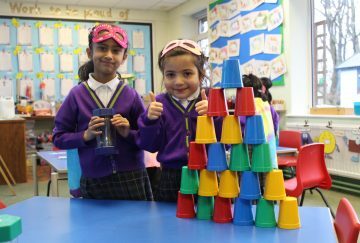 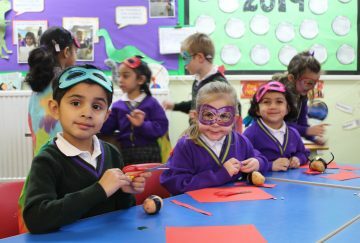 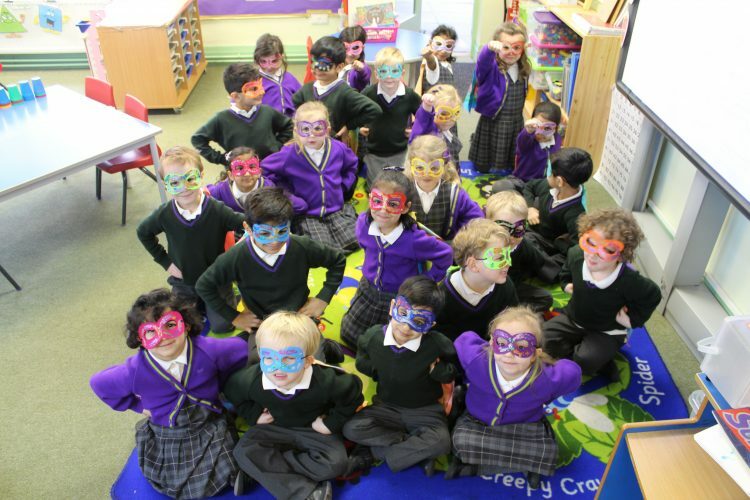 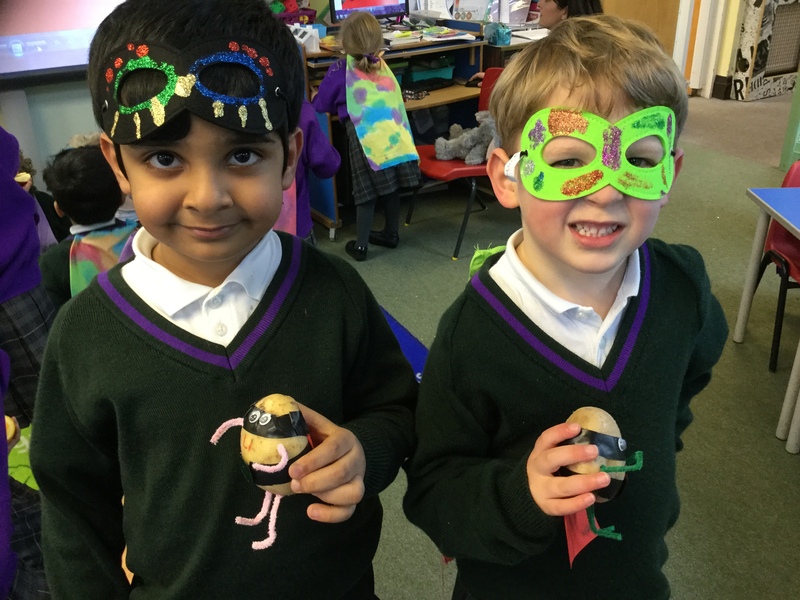 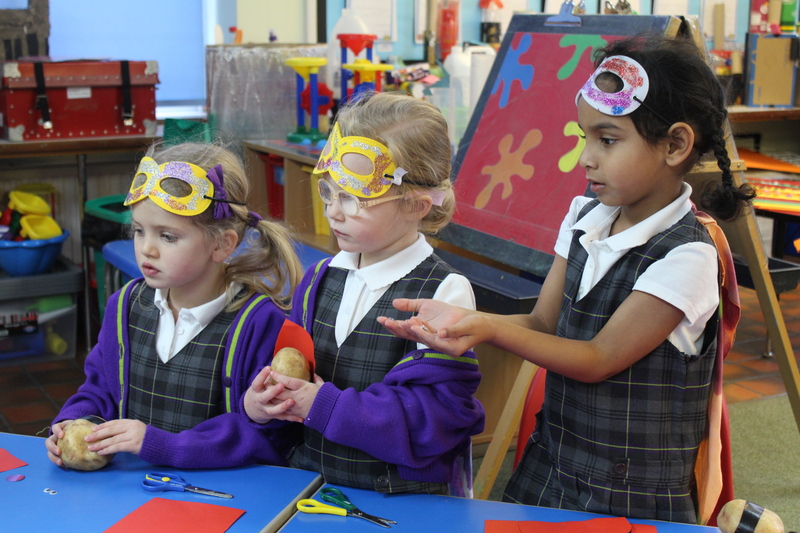 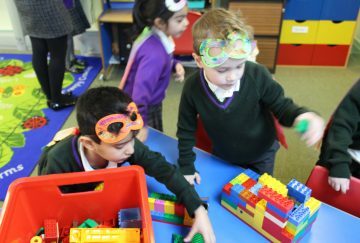 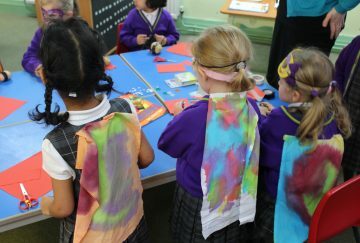 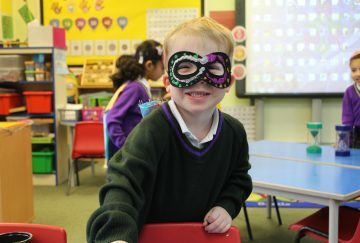 The children in Reception were transformed into Superheroes today. 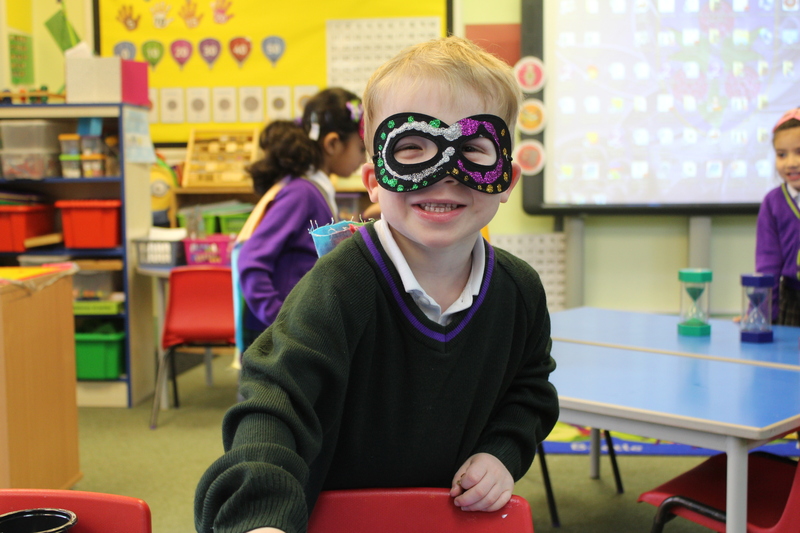 They put on masks and capes which they had decorated themselves. 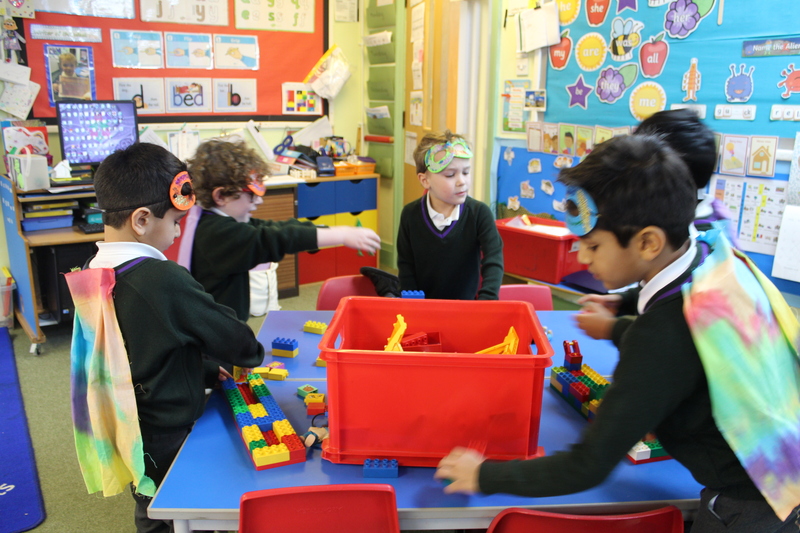 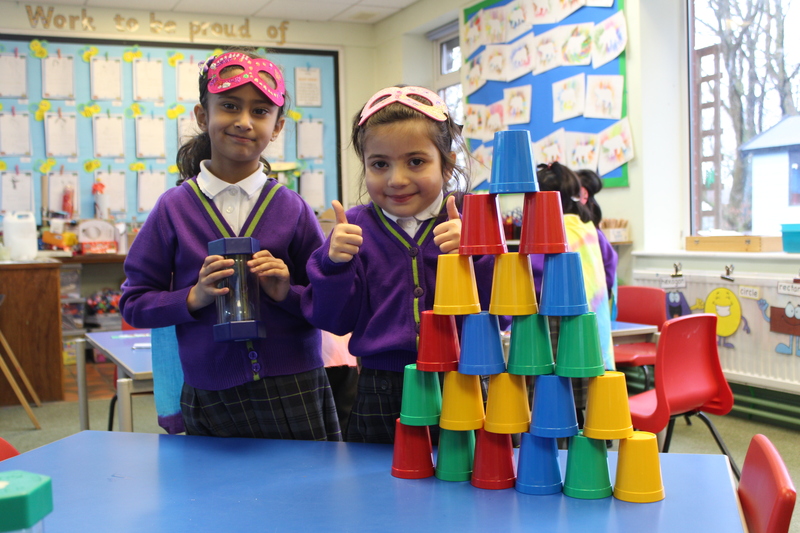 They needed to complete different challenges in order to rescue Lola the elephant who was trapped! 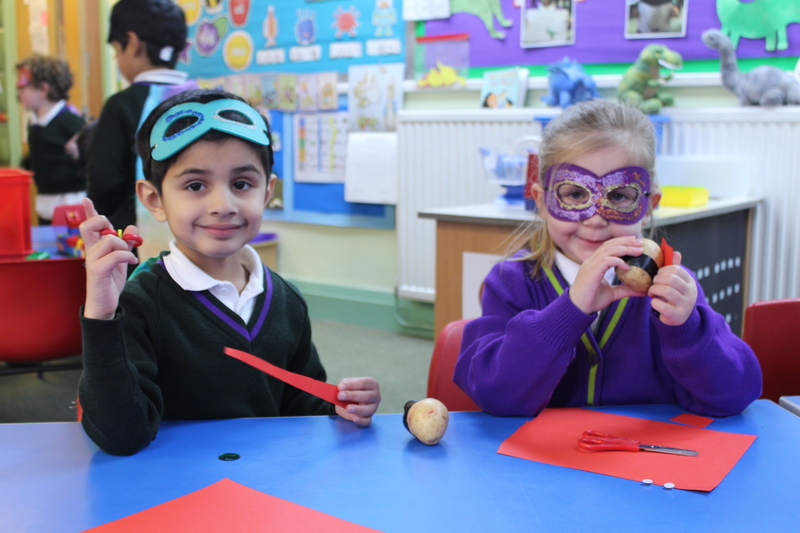 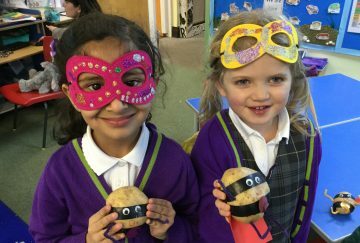 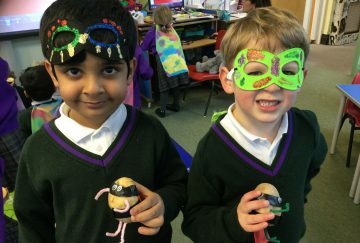 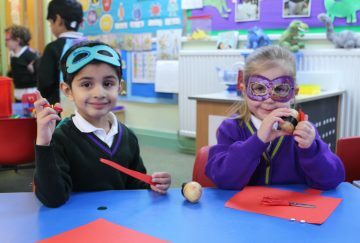 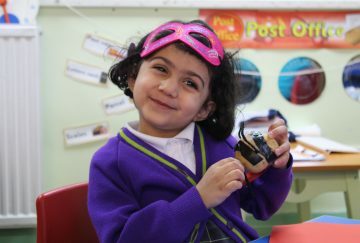 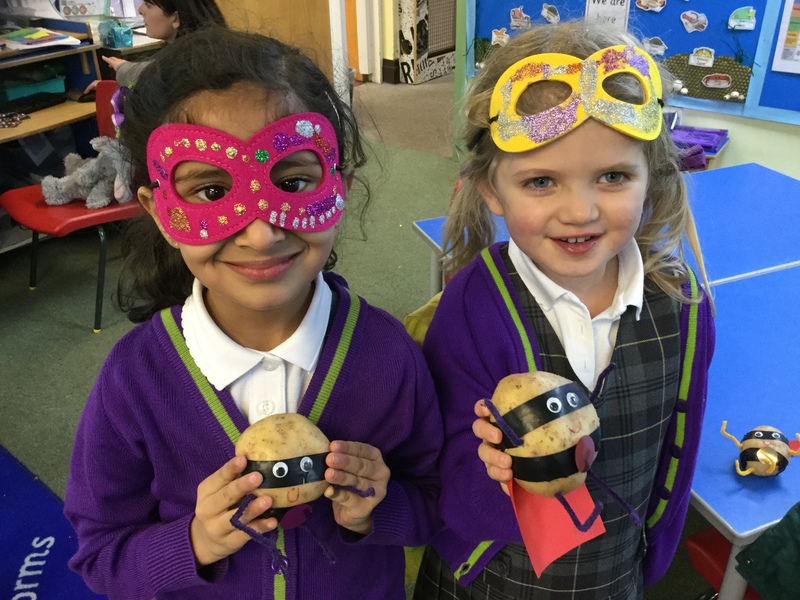 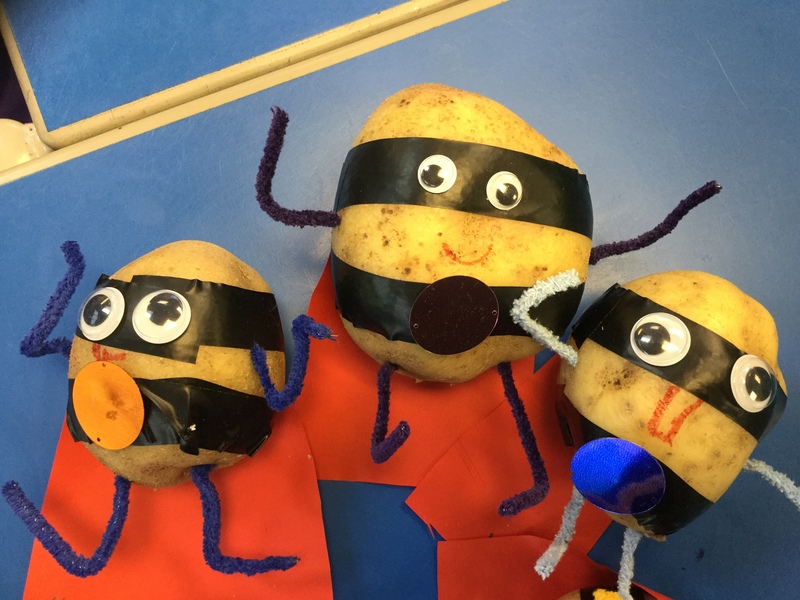 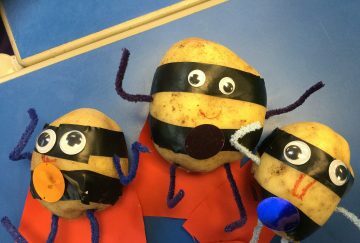 Amongst the different activities they particularly enjoyed designing a superhero belt, eating a ‘superhero snack’ of toast and jam and creating their own ‘Supertato’ character from the stories they have been reading. 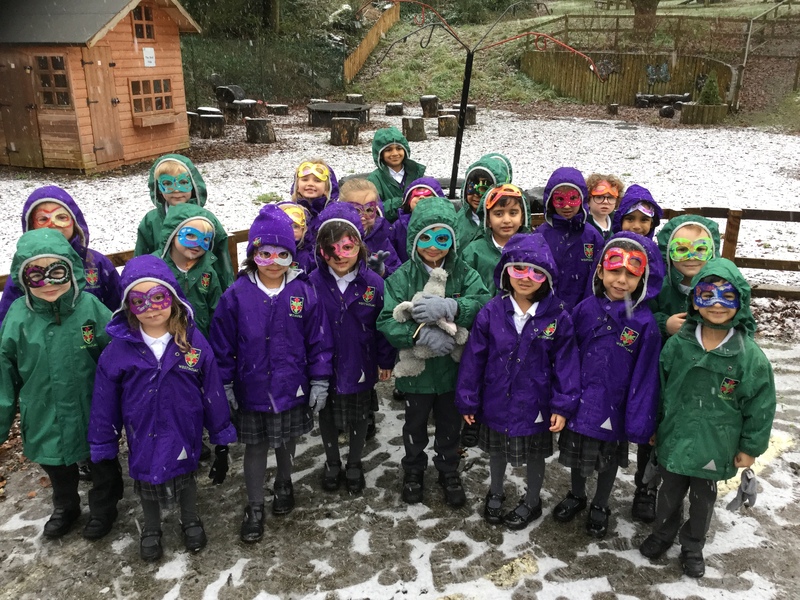 The children used their super powers to melt an ice block containing the missing key before venturing outside in the snow to rescue Lola.